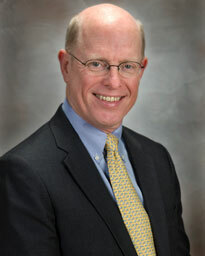 Dr. Kevin P. Lally, M.D., M.S. Dr. Kevin Lally is a graduate of Tulane University Medical School in New Orleans, Louisiana. He completed his residency at the United States Air Force Medical Center at Keesler Air Force Base, Mississippi, and a fellowship at Children’s Hospital of Los Angeles. Board certified in thoracic pediatric surgery, surgical critical care and general surgery, Dr. Lally’s clinical interests include hydrocele, inguinal hernia, umbilical hernia, prenatally diagnosed problems and congenital diaphragmatic hernia (CDH). Dr. Lally holds the Richard Andrassy, MD, Endowed Distinguished Professorship and the A.G. McNeese Chair in Pediatric Surgery at the University of Texas Health Science Center at Houston (UTHealth) Medical School. He has been recognized with the President’s Award for Mentoring Women, as well as UTHealth’s Teaching Excellence Award and Outstanding Surgical Educator. In practice since 1991, Dr. Lally treats patients up to 18 years old. He is known for his availability, competence and compassion. His child-friendly practice offers state-of-the-art surgical care and a clear interest in his young patients. A resident of Houston, Dr. Lally is married and has four children and five grandchildren. His favorite leisure activities are traveling, model ship-building, hiking and spending time with his family. Dr. Lally was on hand at the third annual pediatric trauma reunion at the Houston Zoo. This yearly event gives patients and their families an opportunity to reunite with their caregivers. Dr. Kevin Lally along with Life Flight and the Texas Trauma Institute at Memorial Hermann-Texas Medical Center remove a 14” long branch that had been plunged into a boy’s throat after a dirt biking accident. Miracles are performed every day at Children’s Memorial Hermann Hospital. However, rarely is there a miracle as unique as the story of twin sisters Emily and Caitlin Copeland, and today they are sharing that story for the first time in 18 years.